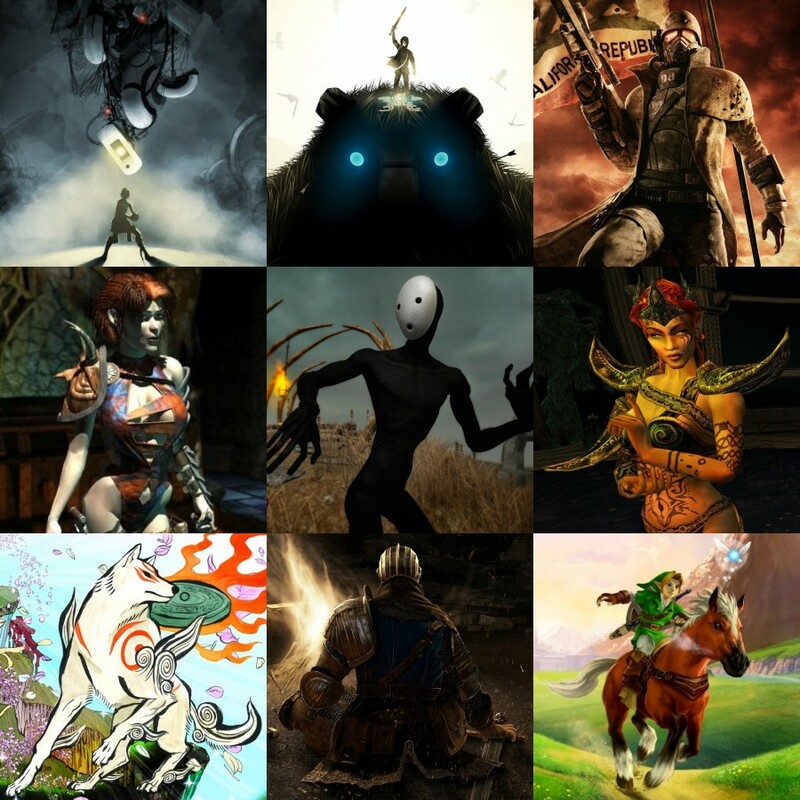 I tried making a 3x3 for a certain imageboard but then I realized there were three games I couldn't bear to leave off the list. Then I tried making a 4x4 and I realized I couldn't think of four additional games I'd classify in the same caliber as the rest. So I made an awkward 3x4 diagram instead, oh well. So you like all 20+ zelda games? Or all NBA 2K games? I love each, but Halo/MvC/RE 2 are the one's that have brought me the most happiness over the years and are games that I have personal attachments to. If I had to pick one I'd go with Halo 3. Each game in each tier can be rearranged based on what day of the week it is and what I'm feeling nostalgic for at the moment. I played Journey about a week-and-a-half ago and I've decided it's my favorite game I'v played yet. It's just amazing the wide range of emotions that game is able to cover with such a simple all-around design. I couldn't stop thinking about it after I played it for the first time; and to my amazement, my second playthrough was even more emotionally engaging than the first. Last edited by silvermoonlight on Fri Feb 08, 2019 9:05 am, edited 3 times in total. Pretty much what I love so far, yet they're soo amazing! "Imagination is a powerful tool that can shape ideas to life through idealistic concepts and thought-provoking depth of development that each individual can create through precise thinking and masterful direction... as long as you put enough work into your creations, then anything in life is possible"